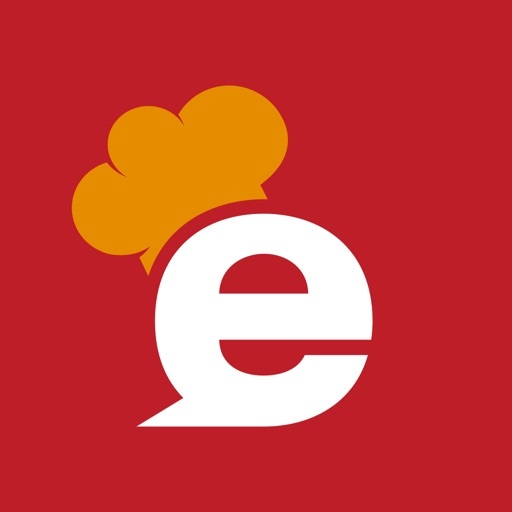 開発: eatigo international pte. ltd. 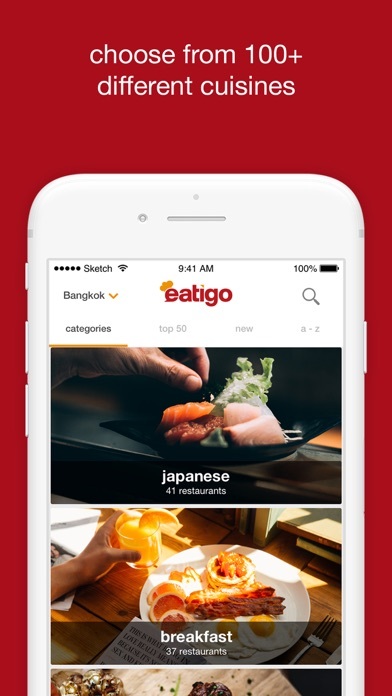 Available in Thailand, Singapore, Malaysia, Hong Kong, India Philippines, and Indonesia eatigo has seated over 5 million diners across the region and is Southeast Asia’s no. 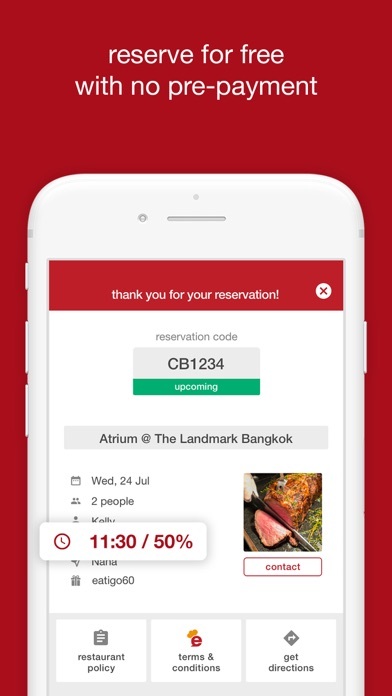 1 restaurant reservation app. Enjoy an expansive list of more than 4,500 restaurants ranging from 5-star hotel locations, Michelin recommended restaurants to popular food chains and small-scale eateries. 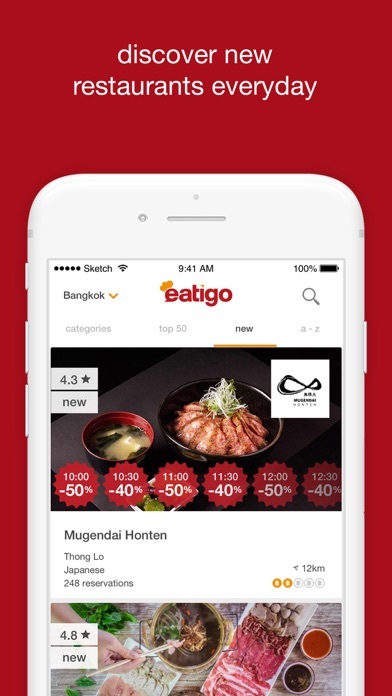 Eatigo offers a wide variety of cuisines and price ranges all with discounts of up to 50% off. 1. 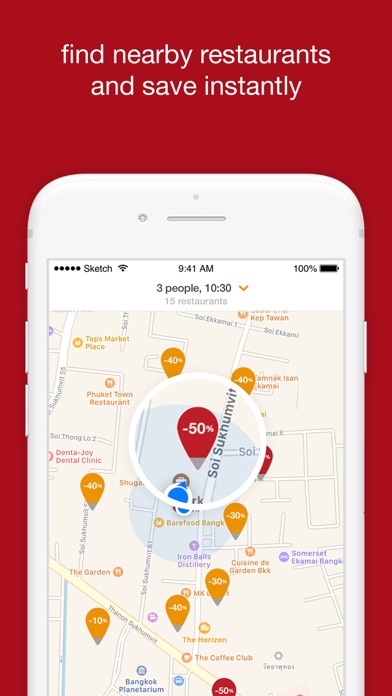 Browse for restaurants on our curated categories, top & new restaurant tabs, or use ‘here & now’ feature to see nearby restaurants, or simply search for the restaurant you are looking for. 3. Pick a time, date & discount and confirm your reservation. An instant booking confirmation will be sent to you on the app, email and sms. 2. Order any food items from the menu and enjoy the discount (drinks are excluded from eatigo’s discount). It’s 100% free, with none of that credit card information requirement nonsense. 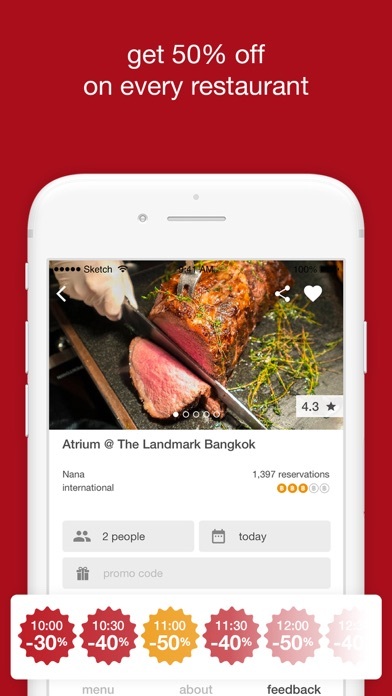 You’ll find all the restaurant info you need on the app, like menus, recommendations, reviews and how to get there. Choose from over 100 food categories like Japanese, Pizza, Cafes, Burgers, Hotpot, All-You-Can Eat, Hotel Buffets and many more! 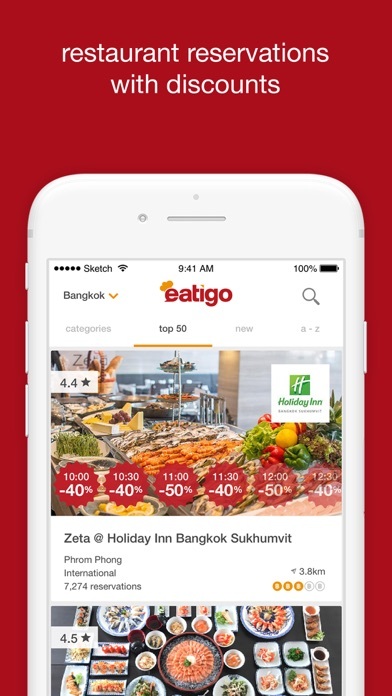 - Keep track of reservation notifications, blog updates and new promotions from eatigo in your Notification Hub.